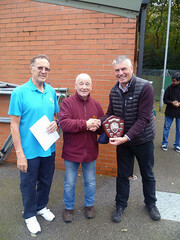 The tri-way competition between Mercia, Northern and Heart of England regions was held yesterday (6th August) at Mansfield Petanque Club. 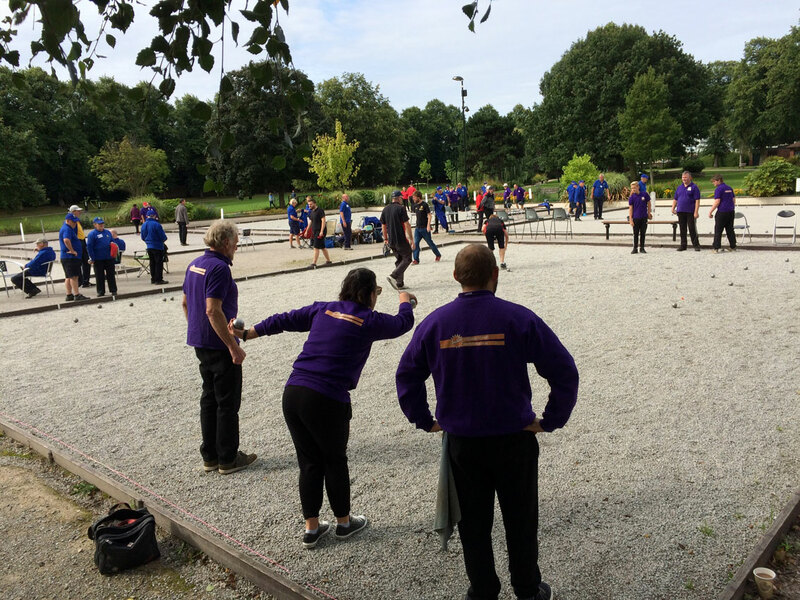 In a highly enjoyable day of petanque, six rounds were played by the eight teams from each region. 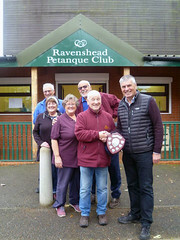 The winners on the day were Northern Petanque with a total of 31 wins, second was Mercia with 25 wins, with Heart of England in 3rd place with 16 wins. 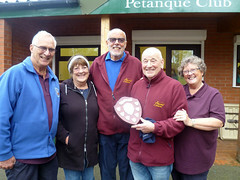 Congratulations to Northern Petanque on a convincing win. The top team on the day was Mercia 1, congratulations to Mohktar Benarab, Brian Forbes & Peter Newton, who won all 6 rounds with a points difference of +61. Thank you to the Northern, HoE and Mercia squads for making this such an enjoyable event, we hope to see you all again next year. Our thanks also goes to June & Mike Ricketts and Maureen Mountain who were responsible for the majority of the organisation on site. There were a great many helpers that helped to make the day run smoothly, I would like to thank those that helped set-up the pistes and equipment in the morning and helped clear away at the close of play, and to those that were there helping all day whilst we were playing. Thank you all. Thank you Morris (Goodman) for being our umpire for the day.